At running on the wall we believe that running bible verses are a perfect way to display our faith. We our self runners are running for Jesus in our heart and running scripture or verses for runners on medal hangers just makes the perfect product for us! 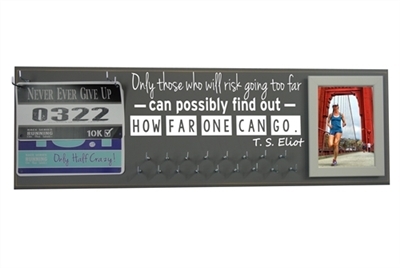 Display your faith with a bible running quote on a exceptional racing bib rack. Find your favorite running scriptures from our variety of verses for runners available in our specially made section created for those who run for Jesus. Express your faith along your hard earned race medals. Find your favored bible quote now.We have 100 to choose from and elevate your faith daily.